Spiced Up Portuguese Cockles | Mommy. Foodie. Athlete. My husband had been traveling through Korea and China on business for two weeks. Obviously, I was going to make whatever he wanted when he returned to welcome him home. Through Skype, I asked him what he was craving after eating deep fried everything in China. He said that everything I blogged while he was away looked so good and he was looking forward to anything healthy again. I then got him to narrow that down. He wanted cockles. Mmmmmm cockles! My man is very lucky to have married a Portuguese girl! I grew up watching both my Vovo (grandmother) and mother cook incredible creations in the kitchen with such ease. These ladies never ever had to follow recipes. They would just create culinary masterpieces. I like to think that growing up exposed to this is what has instilled in me my love of cooking. Following in their footsteps, I don’t use recipes either…I create them. I wish my Vovo were around to see my creations. She passed away in 1999, before I ever even fathomed that I would be blogging. I credit my love of cooking to those hours I spent watching her seamlessly make meals to feed our family. Not all supermarkets and fish markets will have cockles. Quite frankly, I have no clue where to purchase them other than the Portuguese supermarket called Seabras. I am pretty sure that Seabras does not exist outside of New Jersey. 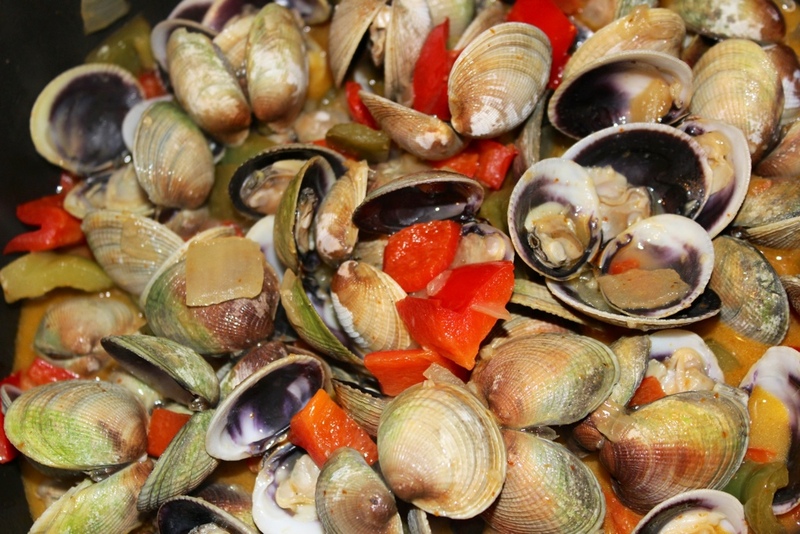 If you can’t find cockles, this recipe would be delicious with any small clam. The smaller the better! Also, piri piri isn’t that readily accessible. I am slowly using up my supply that I got on our perfect honeymoon to the Mediterranean. Any chili powder would work as a substitution. Without further ado, I bring you Spiced Up Portuguese Cockles! 1. Over medium high heat, heat the olive oil in a large pot. Add onion and garlic, and sauté while frequently stirring until onion is translucent and garlic is lightly browned. 2. Add peppers, and cook for about 5 minutes until very fragrant. 3. Add wine and piri piri. Allow to reduce for 5 more minutes. 4. 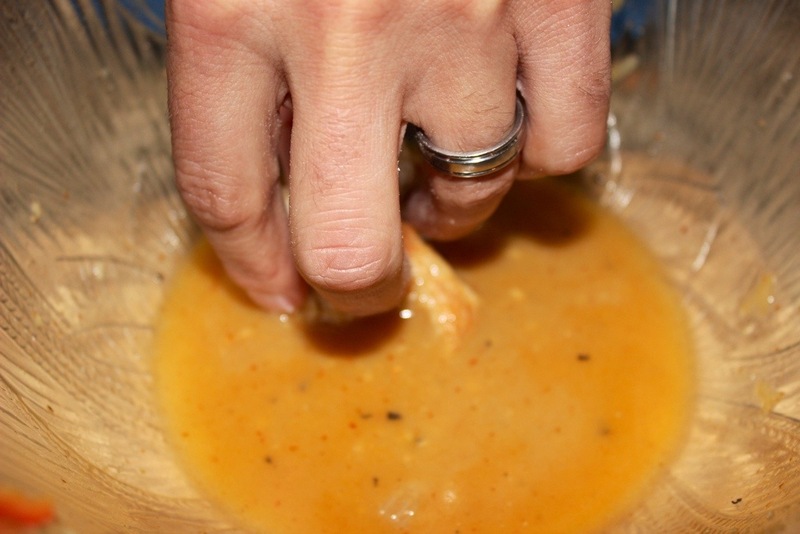 Make sure that your molho (Portuguese term that could mean any type of sauce from meat drippings to gravy) is delicious by adding salt and pepper to taste. Bring to a slow boil. 5. Add cockles, stir, and cover. Cook while shaking it up ever few minutes. Once all cockles are open, you are ready to serve it piping hot with some delicious Portuguese bread on the side for dipping!